Is it normal for double knock out roses blooms to fade and not fall off? I have to cut them off. Yes, you do have to deadhead roses. All roses behave this way. 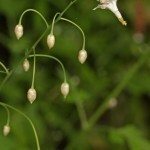 By trimming the dead heads, you keep your plants healthier, and encourage further bloom. 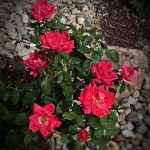 Roses need 1 side dressing of compost/fertilizer per month during the growing season, for steady bloom.